We have several fundrasiers throughout the year for our education programs. 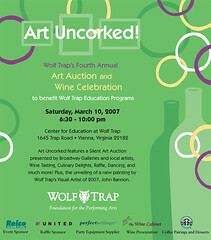 Art Uncorked is the next one and it's coming up on Saturday, March 10. Check out all the details on the invitation to the right or on our website.